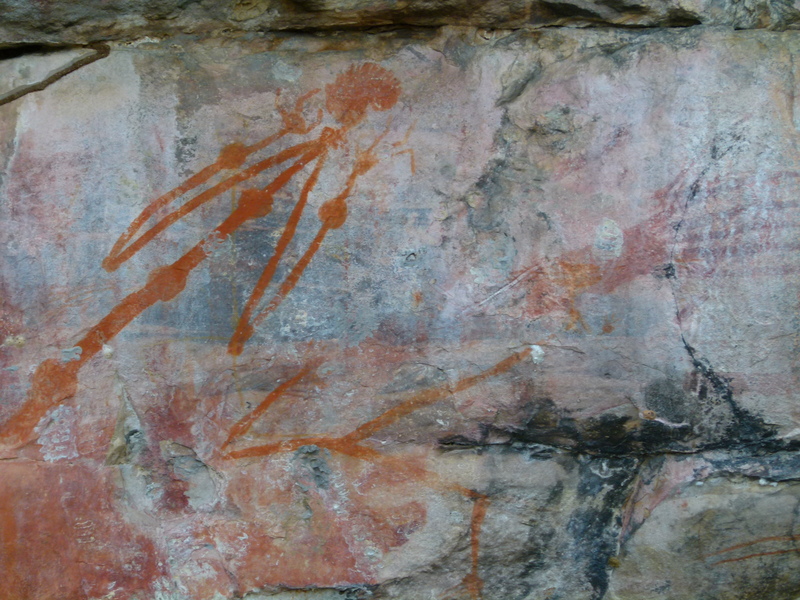 Awesome bininj art, Ubirr, Kakadu. When visiting Kakadu this place needs an underline and an asterisk, it’s truly special. Like other places FREE ranger guided walks are offered, we implore ALL to do this one. The best place to check about details of the walks are at the Kakadu National Park Facebook Page. Ranger Marcus Dempsey is the grandson of Bill Neidjie and Big Bill was instrumental in the return of Kakadu to it’s rightful owners. Anyone who would turn their back on millions of dollars for the greater good is alright by the Roaming Rowes, that is what Bill Neidjie and his family did. So what a treat you will be in for when you come to do this FREE ranger guided walk here at Ubirr. Odds on, just like us, you too will have Ranger Marcus as your guide where he will recount stories from his childhood growing up right here in this region. You can feel how close he was to his grandad and the passion he has for Bininj (Aboriginal) culture and all the while wanting to give Balanda (non-aboriginal visitors) an insight. 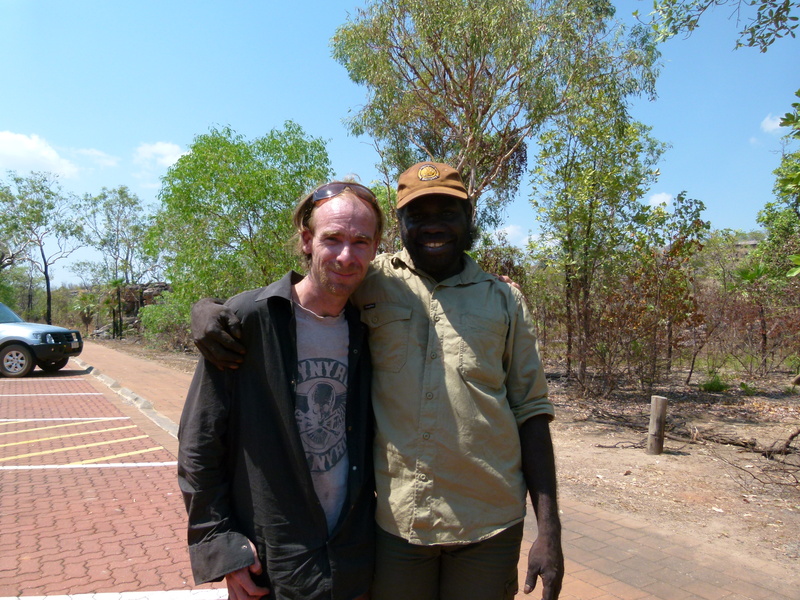 Marcus Dempsey, FREE guided walks at Ubirr, Kakadu. The 1km circuit is full of Aboriginal art and stories including some of the parks most famous x-ray and first contact paintings. Some of these paintings are tens of thousands of years old and takes you back to a time when the Thylacine or Tasmanian Tiger even roamed these parts. The two hour guided tour was unquestionably a highlight for the Roaming Rowes and the energy that Marcus put out was pure and amazing. We did this tour with Marcus twice he was truly inspirational and infectious. What a beautiful man with a calling that you can feel, what an amazing role model for all. 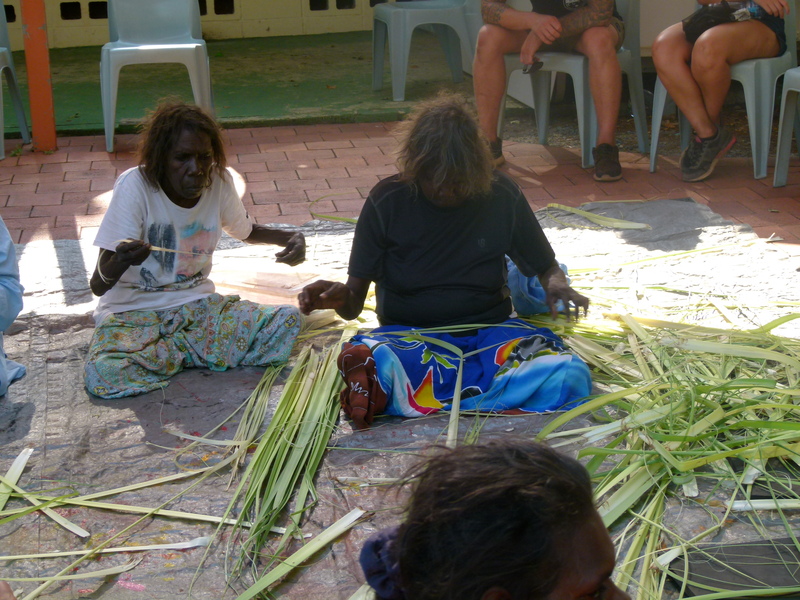 Free Traditional weaving experience, Ubirr, Kakadu. As it turns out I had my 37th birthday around this time and my beautiful wife Annie knew exactly what to get. A book entitled STORY ABOUT FEELING written by none other than Bill Neidjie. As if that wasn’t enough, imagine having his grandson Marcus sign it, a birthday gift I will cherish forever. Whatta women my wife is and how lucky am I? The Roaming Rowes loved our time in this section of the park where we immersed ourselves in traditional bininj culture, from weaving with some aboriginal women traditionally using Pandanu fronds, to traditional painting with some men. Did we mention it was all FREE, what are you waiting for?